Small, child friendly sized 100% pure Omega 3 capsules. 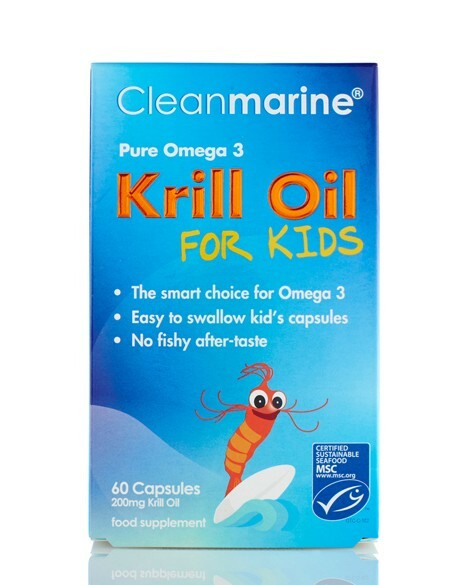 Ideal for fussy eaters and kids who don’t like the unpleasant fishy burps associated with fish oils. Making sure your child eats a balanced diet and gets enough Omega 3 every day can be quite a challenge, especially with fussy little eaters! Luckily each kid's sized Cleanmarine capsules is packed with a potent form of Omge 3 known as "phospholipids", which have been shown to be highly effective even when taking lower levels compared to fish oil. Taken daily, this will ensure your little ones get the Omge 3 goodness they need but without dinner table drame. Plus, there's no fishy after taste like fish oil.